Growing up, I was never a big fan of berries. I remember one particular summer day when my grandmother brought a strawberry pie to our house and my sister and I wouldn't go near it...sorry, Nana! Older and wiser now, I have developed a taste for berries...especially strawberries...how ironic. My baking today and this post were influenced by Eat Feed (my new favorite podcast) and Roger Yepsen, author of Berries. Since I haven't picked up Roger's book yet (wishlist! ), the actual recipe for today's pie came from Epicurious. Mix sugar, tapioca, and lemon juice in large bowl. 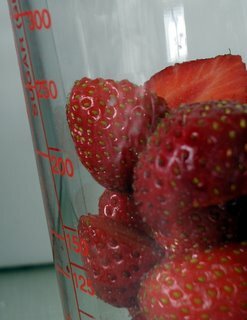 Add berries and toss gently to combine. Let stand until tapioca softens slightly, stirring occasionally, about 45 minutes. Preheat oven to 400°F. Roll out dough on lightly floured surface to 15-inch round. Transfer to 9-inch-diameter glass pie dish. Trim dough overhang to 1 inch. Fold overhang under and crimp decoratively, forming high-standing rim. Freeze crust 20 minutes. Spoon filling into crust. Crumble topping evenly over filling. Bake pie until crust and topping are golden brown and filling is bubbling, covering loosely with sheet of foil if topping browns too quickly, about 55 minutes. Transfer pie to rack and cool at least 3 hours. (Can be made 8 hours ahead. Let stand at room temperature.) Cut pie into wedges and serve. This pie is beyond delicious. 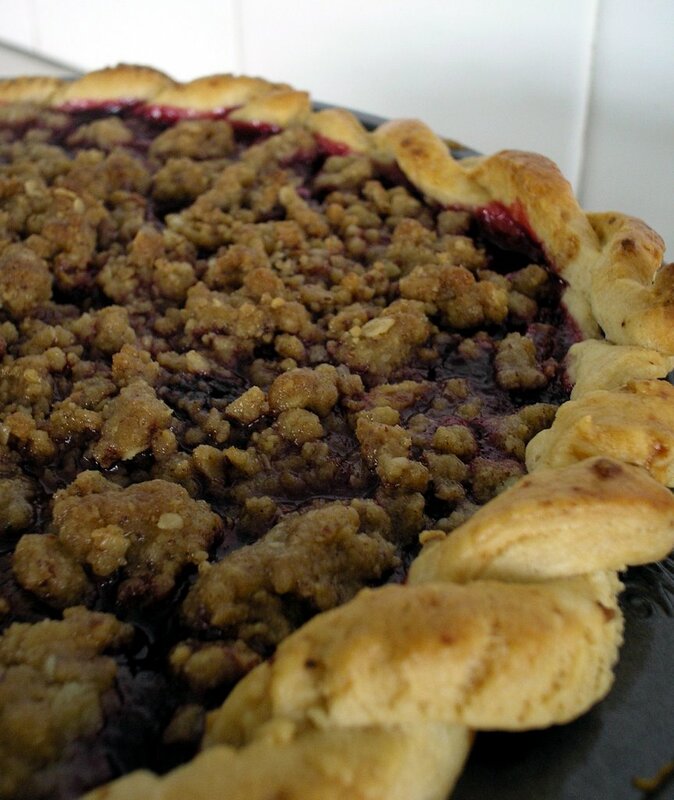 As someone once said, "berries are nature's jewelry" and this pie really highlights nature's jewels. I hope you give it a try. P.S. 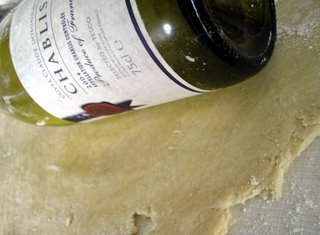 if you're even stuck for a rolling pin, just grab the nearest wine bottle!